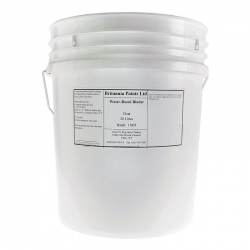 Britannia is a family-run business that John Johnstone started back in 1890. 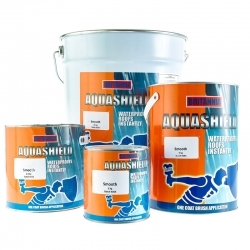 Now into their fifth generation, it is still ran by the family, and as of 2018 its high-performance products are now available to buy from Rawlins Paints, official UK stockists. 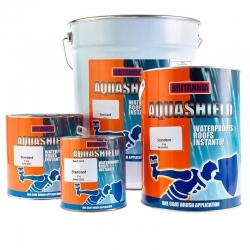 A highly effective waterproof coating that is ready to use that works instantly. 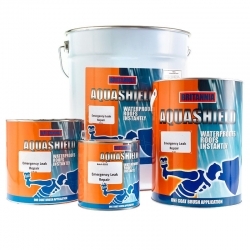 For use on roofs, this smooth coating can be applied by brush, roller or squeegee. 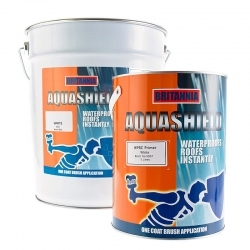 Advantages Also great for gutters, concrete, brickwork, fibreglass, felt, metal and more! Available in 3 colours + transparent. Solvent-based. 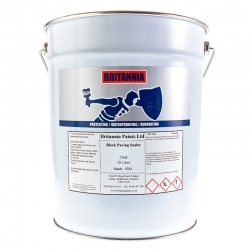 This excellent paving sealer from Britannia is specifically-formulated to protect driveways, paths and flagstones, and to beautify their appearance. An ideal choice for private dwellings with large but neglected paved driveways. Advantages Long-lasting. 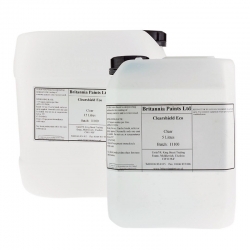 Use on paving stones and flagstones. Clear matt finish. 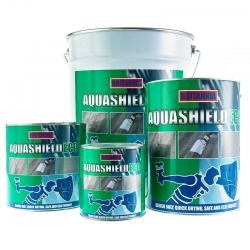 An excellent protective coating for porous external walls, roof tiles and wood, to protect against weathering, dirt, and pollutants. Advantages Superior water repellency. 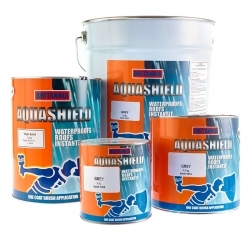 Excellent stain, UV, chemical and abrasion resistance. Prevents moss and algae growth. Up to 10 years product performance. 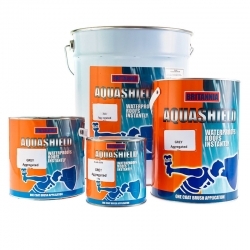 Britannia Paints are members of The Sports and Play Construction Association (SAPCA), The National Federation of Roofing Contractors (NFRC) and The Liquid Roofing and Waterproofing Association (LRWA), all organisations dedicated to the highest professional standards. Its products are manufactured and tested to the most stringent of quality control procedures, with each product designed for high-end commercial and industrial usage. Whilst they may be a new manufacturer name to join Rawlins Paints' professional grade product ranges, their reputation amongst the UK's leading local authorities, and building contractors right across the country is second to none. 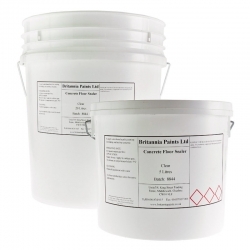 Whatever the scale of a roof repair, maintenance or refurbishment project, Britannia Paints - with the added customer support across its full range from Rawlins Paints' Technical Support Team - has a product ideal for priming, reinforcement requirements, sealing, colouring, and waterproofing of flat, pitched, or many other roof inclines and square meter surface areas. So, whether it is for council properties, privately owned builds, hospitals and related external buildings, or factories of any shape and size - including any located in demanding coastal atmospheres and environments - there will be system combinations available to bring projects in on or under-budget, with long-lasting and aesthetically rich results. 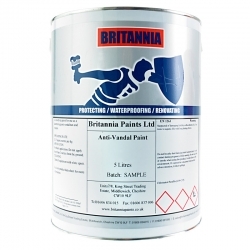 Sports Paints is a relatively new category range at Rawlins Paints, and we are delighted to feature Britannia Paints prominently in it. Their range of concrete and asphalt coatings are ideal for outdoor activities, including for use on tennis or netball courts. Offering superb surface binding and sealing, these products will add years to regularly used educational sports facilities, training grounds, and private estates. Why not call a member of Rawlins Paints' Technical Support Team today on 0113 245 5450 to discuss the wide range of floor and wall paints for internal and external use?